Get ready for the return of The Blackened Mirror – and be a part of the magic! The Blackened Mirror is a TV series, created Second Life which mixes film noir, steampunk and classic Lovecraft horror together into a unique blend of storytelling. 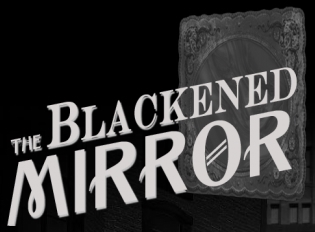 More than that, however, the first season of The Blackened Mirror was a mutimedia event, featuring a game that could be enjoyed within Second Life, together with explorations and puzzles to be found on the Internet, with clues on the official website, related web-sites, or on social media streams which would point the way to finding more information about the characters and the plot – and for those following the game within Second Life – to in-world prizes as well! The show premiered in Second Life in 2012, and was an instant hit. 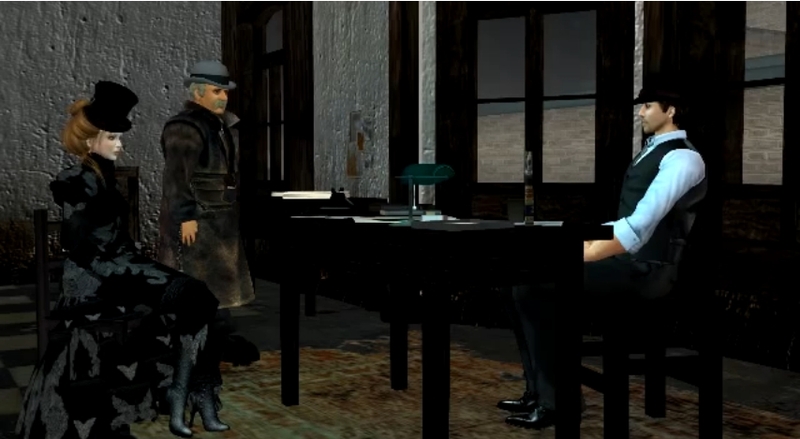 The six-part series introduced Harland Quinn, a hardened PI in the City of Angels, voiced by the silken-tongued Zander Greene (have I mentioned I could sit and listen to Zander read a telephone directory? :)). If you’re new to the show, you can catch-up via the website, or via Treet TV or You Tube. Written by David Abbott, the series also spawned a four-part radio play, again featuring Zander Greene (RL: Scott Simpson) as Harland Quinn, with special guests Juliet Cesario (who also guest-starred in the TV series) and none other than Peter Jurasik (Londo Mollari in Babylon 5 and Sid the Snitch in Hill Street Blues among many other roles), which was complete in itself. Well, the good news is, Season 2 of the series is not that far away. Due to air in October, it promises to continue the story of Quinn and his associates, and to include a very special guest (and no, I can’t say who; Saffia has sworn me to secrecy for now!). Ever wanted to appear in a TV series? Now’s your chance. The team behind The Blackened Mirror have put out a call for people willing to be extras in the production. An in-world group, Blackened Mirror Extras Green Room, has been created. It has open enrollment for anyone wishing to be a part of the magic, but do please read the blog post notes before you apply. On Sol 376, August 27th 2013, Curiosity achieved another mission milestone: the first use of the autonomous driving capabilities to fully drive itself through a potentially hazardous zone. The autonomous navigation software – autonav – was uploaded to the rover following the April 2013 period of solar conjunction. 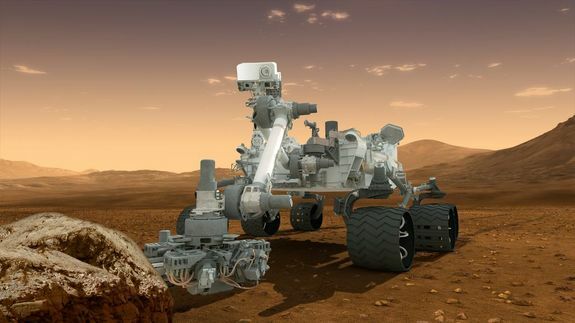 It is designed to allow the rover to decide how best to handle driving safely on Mars, rather than constantly relying on command updates from Earth – something which can severely limit the rover’s daily progress if there are significant obstacles in the rover’s path or if the mission team want the rover to drive beyond the limits of what the Navcams can see at the start of a day’s drive without routes having to be constantly re-plotted from Earth. The drive of August 27th saw Curiosity successfully use autonomous navigation to cross ground that could not be confirmed safe before the start of the drive. While the drive team were able to establish a “bounding box” in which the rover was expected to keep during the day’s progress, a significant depression in the ground some 10 metres (33 feet) across could not be imaged in advance of the rover’s arrival, and so autonav was enabled in order for the rover to make its own way through the depression. “We could see the area before the dip, and we told the rover where to drive on that part. We could see the ground on the other side, where we designated a point for the rover to end the drive, but Curiosity figured out for herself how to drive the uncharted part in between,” said JPL’s John Wright, a rover driver. Crossing the depression required the rover to take several sets of stereo images of the terrain, compare them, determine potential routes to reach a the designated way-point, and then select the safest course to take. While autonav has been used a number of times already in recent weeks, these have always been under controlled conditions and limited in scope. The Sol 376 traverse marks the first time Curiosity has been left entirely to its own devices to cross what has essentially been unknown ground for the mission team. The drive means that the rover has now travelled about 1.39 kilometres (0.86 miles) since departing “Glenelg” and “Yellowknife Bay” early in July, and has a little over 7 kilometres (4.46 miles) to go before reaching the lower slopes of “Mount Sharp”. To assist the rover’s progress, NASA have marked-out a “rapid transit route” using images from the High Resolution Imaging Science Experiment (HiRISE) camera aboard the orbiting Mars Reconnaissance Orbiter. This plots a rough course for the rover from “Glenelg” to the designated entry-point into the lower slopes of “Mount Sharp”, and which runs alongside a dune field which lays between the terrain the rover is on and the slopes of the mound itself. Several potential waypoints have been identified along the route where the rover may stop for a few days at a time to allow further science work to be carried out.